Product #21519 | SKU LNEO7 | 0.0 (no ratings yet) Thanks for your rating! 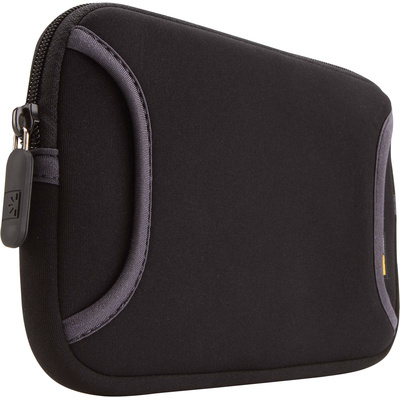 The 7" Tablet Sleeve from Case Logic is designed to hold devices up to 20.1 x 1.5 x 13.5 cm. The neoprene sleeve cushions your laptop against bumps and abrasions. The interior has a protection panel to protect your laptop's LCD screen. There's an exterior accessory pocket with zipper where you can store your power adapter, cables and other small items. Weighing only 90.7 g, this sleeve is easy to carry or stash inside your larger shoulder bag or briefcase.